An edible sweet Thai ginger. Fingerroot is also widely used in Javanese cuisine in Indonesia. 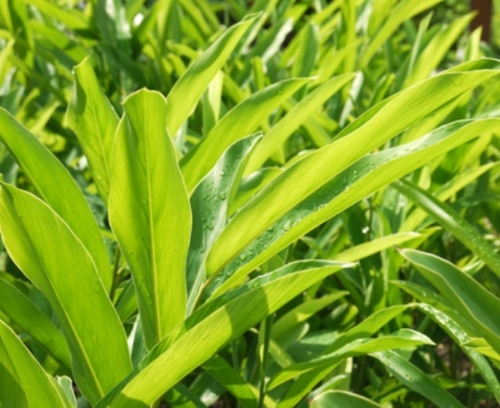 This plant grows to 50-80cm in height and is commonly used in salads, thinkly sliced, due to it's sweeter and less pungent ginger flavour. Prefers shade to partial shade with moist soil. Will become dormant in Winter. Can be shipped as a Bare-Rooted Rhizome in colder months. Common name: Chinese Keys; Krachai; Lesser Galangal; Chinese Ginger.